Stop press! Pioneer have announced the shiny new XDJ-RR – the little brother to the extremely popular XDJ-RX2 standalone media controller from Pioneer DJ. Its smaller, lighter and therefore more portable to rock from gig to gig with ease whilst retaining the the standalone features we all love. Included with the XDJ-RR is a full Rekordbox DJ software licence worth £139, making the XDJ-RR a great controller for DJ’s wishing to use their laptop or USB sticks to bring music to the masses. Read on to find out more about the cheapest standalone controller on the market. 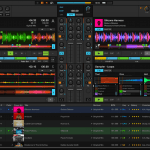 Pioneer DJ have been kind to us mere mortals who want the NXS2 style layout but not want to spend the NXS2 money! Thanks to taking layout and design elements from the club-standard CDJ-2000NXS2 and DJM-900NXS2 set-up. The fact that you can also play Rekordbox prepared tracks onto the XDJ-RR is also a functional feature borrowed from the flagship set. 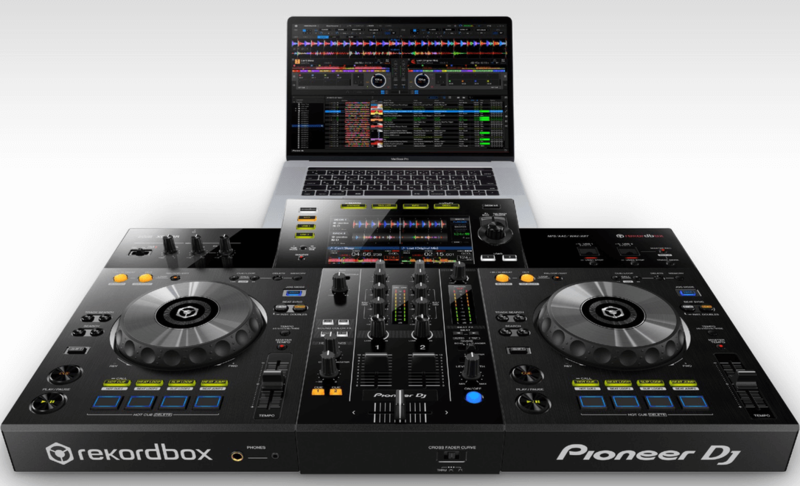 It also shares the PC/Mac connectivity via USB if you prefer to use Rekordbox DJ with the free licence included as mentioned above. How many memory sticks can I connect to the XDJ-RR? The Pioneer DJ XDJ-RR allows you to connect two USB drives simultaneously. So whether its playing back to back alongside another DJ, or transitioning to the next DJ the two USB ports make this a doddle. The XDJ-RR also allows recording direct to a USB device, so you could dedicate one of the USB ports for recording a DJ set or an entire night. This is a feature favoured by many on the bigger (and more expensive!) XDJ-RX2. The Pioneer DJ XDJ-RR also features a beautiful 7-inch colour screen allowing you to browse and load tracks with ease. The large rotary selector also borrowed from the CDJ-2000NXS2 is also included. The screen gives you fantastic visual reference as to where you are in a track as well as full colour waveforms and track information. The screen is a perfect size for browsing a library, glimpsing at your BPM or finding the beat when cueing and scratching. What performance controls are within the XDJ-RR? Hot cues: Allows the marking of different points in a track and instantly play from the hot cue controls. As well as triggering these on the fly to create unique sequences and rhythms, its especially handy if you wish to trigger parts of an acapella or instrumental to remix on the fly. These hot cues are saved to USB stick/Rekordbox DJ software for future use. Beat Loop: The XDJ-RR automatically finds loop sizes thanks to Rekordbox DJ’s accurate BPM detection. You can also chop and extend these on the fly to enhance your performance even further. Slip Loop: Activating slip loop on the XDJ-RR triggers a loop of the track but keeps the full song playing silently in the background, so you can add scratch or beat juggling elements, for example, then drop back into track where it was supposed to be! With yet more nuances borrowed from the DJM-900NXS2 the XDJ-RR hosts a mixer section to enable the smoothest of mixes thanks to the precise EQs and channel faders. Crossfader curves are the same as those found on the DJM-900NXS2. The XDJ-RR also borrows Beat FX from the flagship, which transform your sound ‘In-Beat’ with the Reverb, Echo and Flanger. I’m personally delighted they have included Sound Colour FX (also on the big DJM mixers!) which help develop texture and make for more interesting buildups and breakdowns of tracks. 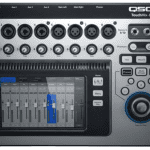 The Sound Colour FX include Filter, Noise, Dub Echo and Pitch. Nope. Next question – joke. In all seriousness, the XDJ-RR is a class winning 5.2kg compared to the XDJ-RX2 which weighs 9.1kg – thats a whopping 43% saving in weight! So with it chucked into the DJC-RR bag, its the most portable standalone controller, light enough to take pretty much anywhere. The Pioneer DJ XDJ-RR is an all-in-one system so decks and mixer interconnects aren’t needed. Simply connect your mains power and signal to your speakers (either via RCA or XLR) and you’re ready to rock. External audio connectivity: The Pioneer controller features an AUX input to allow connectivity to a mobile device, CDJ or another source thanks to its external audio input with volume control. Link Export Mode: When connecting the XDJ-RR to a laptop via USB cable, you can play tracks from your Rekordbox library without the need of putting them onto a USB stick. This is handy if you fancy a spin with recently downloaded tracks or if you don’t have a USB drive to hand. Rekordbox DJ licence included: Worth £139 normally, the Rekordbox DJ software licence key is included and can be used with a plethora of other controllers and devices, too! If you fancy using more pads when you play, the XDJ-RR can work in perfect harmony with the DDJ-XP1 to have an extra 32 pads at your disposal for FX control and looping.